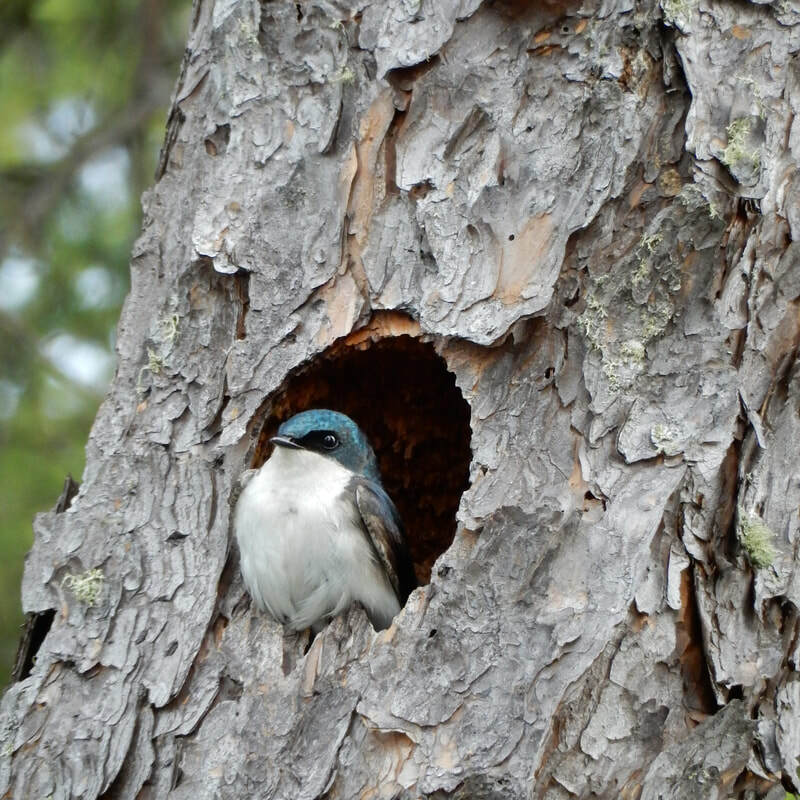 Tree swallows are social birds who nest close together and create​ large swarms for migration. They are currently not at risk however do suffer from certain threats. Some include pollution / pesticides and loss of habitat through the clearing of dead trees. Find out more at the Woodland Caribou Provincial Park Exhibition at the Heritage Centre. Gray jays are considered the unofficial national bird of Canada. They are an inquisitive species and are not at risk. Threats to the species mainly revolve around climate change and pollution. 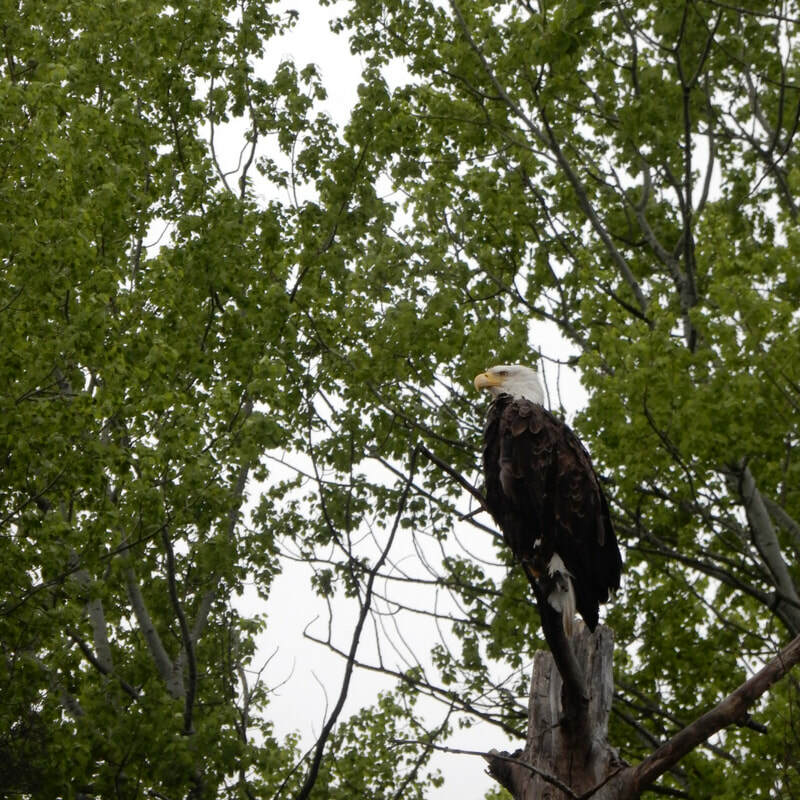 Bald eagles are one of the largest birds of prey in Canada. These species can see four times farther than humans! They are listed as a special concern on the Ontario Endangered Species list. Common nighthawks are neither a hawk nor strictly nocturnal. The species have relatively small bills and large heads. They are listed as a special concern on the Ontario Endangered Species list. Black-backed woodpeckers have extraordinarily strong beaks which are used to pry/hammer at bark to build nests and find food. Threats to these birds mainly includes loss of habitat through fire suppression. The Woodland Caribou play an important role in the Provincial Parks culture and ecology. These Caribou are the same species as the reindeer found in Eurasia. They are listed as threatened on the Ontario Endangered Species list. Diet: Vegetation such as horsetails and shrub leaves are eaten in the summer. Ground and tree lichens are primarily eaten during the winter season. Moose are considered the largest deer in the world and swim several kilometres in the water. Their species mortality is primarily associated with hunting and predators. The WCPP is home to six bat species. The little brown bat is the most common species found within the Park. The species was just recently listed as endangered on the Ontario Endangered Species list. Their biggest threat is called white-nose syndrome caused by an invasive fungus. The American Marten are a nocturnal and solitary animal with extremely strong scent glands. These animals provide an income for trappers with their relatively high-priced fur. Some common threats to the species include trapping, loss of habitat, and habitat fragmentation. The Wolverines have large home ranges of primarily undisturbed land. Tracks are often seen in winter however the species are seldom observed. Wolverines are considered one of the most powerful mammals of its size. They're even capable of driving large predators away from their kills. The western painted turtle is one of two species of turtles which can be found within the WCPP. They can live up to 40 years in the wild and are listed as not at risk on the Ontario Endangered Species List. The snapping turtle is not known to be a great swimmer and have been observed walking on the bottom of waterbodies. The species can live well up to 100 years in the wild and viciously snap at predators for defense. The red-sided gartersnake is one of two subspecies found within the WCPP. The red-sided gartnersnake is also unique to Northwestern Ontario. These species flick their tongues to pick up scents and sense vibrations through the ground. Common threats include flooding or freezing of hibernaculum. The leopard frog is the most widespread frog species in Canada. The species has a call that is similar to a finger rubbed on a wet balloon. Some common threats to leopard frogs include loss of habitat and pollution. The blue-spotted salamander are considered the most northern living salamander in Ontario. They are capable of creating a noxious secretion to ward off predators and can detach / regrow their tails then grabbed by a predator.